William D. Strickland, J.D., C.S.P.G. 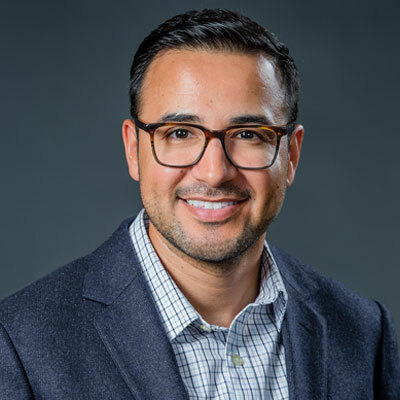 As program officer for education, Dr. John Garcia III manages outreach, initiatives and grantmaking focused on improving educational outcomes and opportunities in Los Angeles County. Previously, Garcia served as a consultant with Jobs for the Future, the Southern Regional Education Board and the National Governors Association. He spent four years as a school counselor in an urban school district and was the Westside Impact Teacher of the Year in 2010. Garcia also served as an adjunct professor at Phoenix Community College, teaching college success strategies, and was the founding director of the Arizona College Access Network. He has served as a policy analyst for the White House Initiative on Educational Excellence for Hispanics and was a doctoral resident with the Bill & Melinda Gates Foundation. Garcia holds a business degree in supply chain management and a Master of Counseling from Arizona State University. He earned his doctorate in education leadership from the Harvard Graduate School of Education.